he Double Bottom and Double Top patterns can forecast a change in trend. Learn how to spot these predictive patterns by examining the following charts. 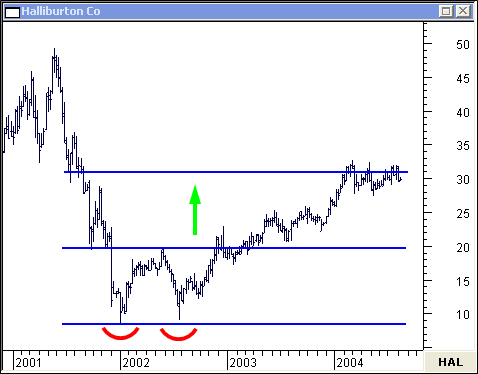 The Double Bottom pattern on this weekly chart of Halliburton Co took seven months to form. The upside price objective was tagged 18 months later! 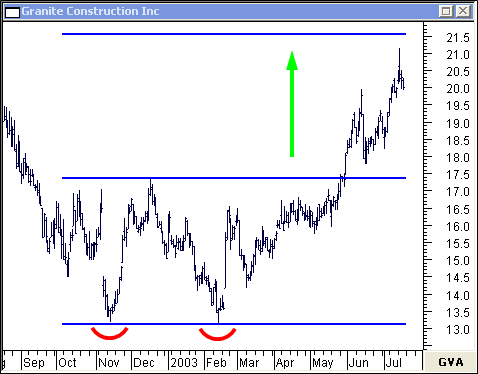 On this daily chart, Granite Construction Inc is near its upside price objective after breaking-out from a 3-month double bottom pattern. 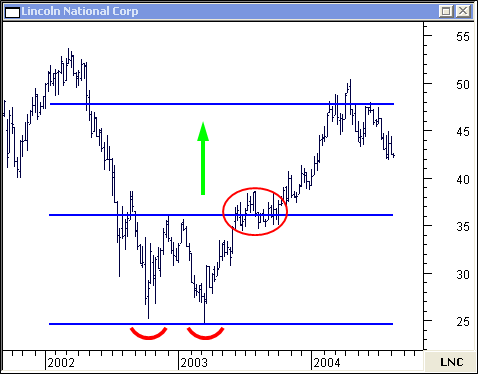 Sometimes price will pause after a valid break-out, as it did in this weekly chart of Lincoln National Corp. 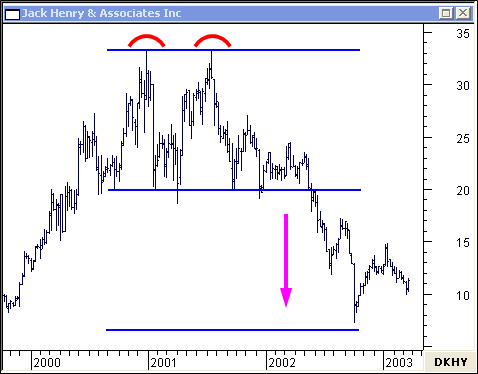 The Double Top pattern is bearish in contrast to the double bottom... developing more often. 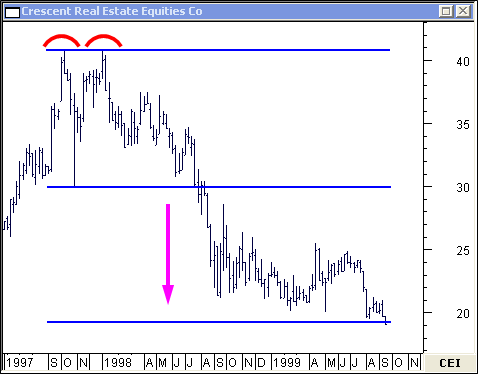 This weekly chart of Crescent Real Estate Equities Co shows a typical double top. Again, the forecasted price objective may take up to a year to materialize. 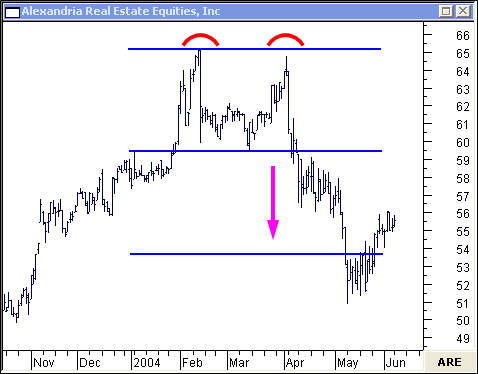 Once the double top was confirmed, it didn't take long for the price to plummet on this weekly chart of Jack Henry & Associates Inc.
On this daily chart of Alexandria Real Estate Equities, Inc, the price objective was easily exceeded... making some traders very happy.